FOR the first time in the history of the club, Ennis Golf Club is to have a husband and wife as captains in the same season. Mike and Phil Butler are the new vice-captains of the club, positions they will hold in 2010 and they will lead the club in 2011. Mike, a well-known traditional musician, has served on the committee in recent years and filled the role of club secretary. The announcement was made at a function in the club on Thursday evening last. The winners of the turkey fourball at Ennis on Sunday were Colm Daly and Damian Gilligan with 47-points. They had two to spare over Noel Kenny and Sean Rynne with third spot filled by Tom Glynn and Padraig McNicholas on 44-points. the same score was returned by Paschal Phelan and Jason Woods, who were in fourth spot. The Saturday scramble continues on while there will be another turkey fourball on Sunday. In the ladies’ section, Claire O’Donnell was the winner of the week four competition in the October league with 41-points from Emmanual McMahon on 38 and Geraldine O’Mahony on 37. 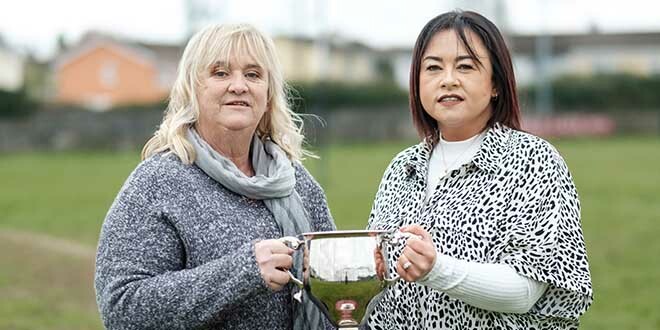 Last week’s ladies seniors was won by Nuala Guinan, Noreen Murphy and Mary McMahon with 43-points from Carmel Verling, Eileen Corry and Monica Gallagher with 43-points. Kilrush seniors held a team of three competition last week when the winners were John Stapleton, Noel Enright and Mick Lane with 59-points. 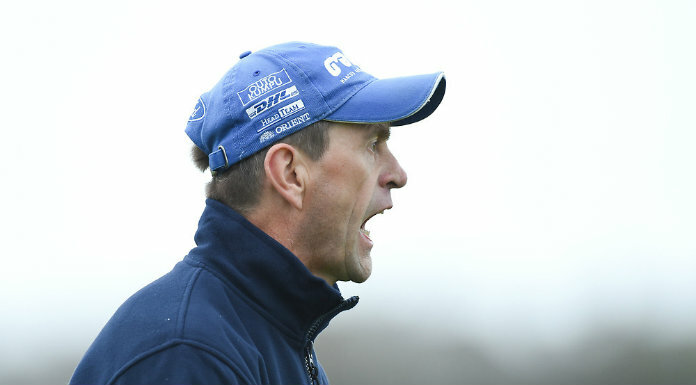 They had one to spare over Denis Nagle, Fr P O’Neill and John Robinson with third spot filled by Matt Fitzpatrick, Noel Cooney and Michael Carigg on 55-points. Michael Reen was the winner of the Christmas hamper competition at Woodstock at the weekend with 43-points from Brian Sheedy who had a similar score. Christy Cusack was in third spot with 41-points. There will be an 18-hole modified fourball stableford competition this weekend. Fifty nine members played in the Ennis seniors three-ball scramble last week when the winners were Bernie Hoey, Jackie Morris and John Joe Keane from Tony Kehoe, Seán O’Gorman and John White. In third spot were Jimmy Kerins, John McLoughlin and Matt Fanning with Tim Ryan, Pat Rutherford and Pat O’Reilly in fourth spot. Paddy Cahill, Pat Cusack and Noel Pyne were in fifth spot while sixth place was filled by John Cullinane, Paddy Lane and George Dilger. Shannon club captain Michael O’Connor’s dinner takes place on Friday evening in the clubhouse and a big turnout of members is expected. Meanwhile, the annual general meeting of the ladies section will take place on Monday next, November 16, with the men’s annual meeting on Tuesday next. The annual meeting of the joint club will take place on Tuesday, December 1. On the playing front the men’s team of three competition at the weekend was won by P Murphy, P Williams and K McEvoy with 57-points who had one point to spare from E Daly, D Quinlan and B Cleary on 56-points. There will be a men’s 15-hole singles competition this weekend with a mixed foursomes hamper on Sunday. The ladies will have a 12-hole singles competition on Tuesday. Denis Creedon and Ray Madden were the winners of the turkey fourball at Lahinch on Sunday with a score of 42-points. Jack Ryan and Terry McCarthy who had a similar score were in second place. The ladies’ hamper, a singles stableford competition, was won by Margaret Lacheiner with 32-points from Anna Glynn on 30 and Bridget Hoey on 29. Valerie Shannon won the gross with 29-points. The Spanish Point Ladies committee annual meeting was held recently and it was well attended. The following officers were elected for the coming year. Lady captain, Mary Saunders; vice-captain, Breda Murphy; ex-officio, Val Ross; hon secretary, Clare MacNamara, hon treasurer: Martina Skerritt; handicap secretary, Mary Cleary; committee, Aine Buckley, Geraldine Reddan, Aoife O’Malley; golfer of the year, Martina Sherritt. John O’Donoghue and Pat Fitzpatrick were the winners of the weekend 18-hole fourball at Gort with a score of 48-points. They had one to spare from John Forde and Val Hoarty with third spot filled by Brendan McDonagh and Michael Ryan who had 46-points. Tom Sands was the winner of last week’s 18-hole open singles competition with 36-points. There will be an 18-hole singles competition for men this weekend. In the ladies Hallowe’en surprise competition, Gabrielle Warnock was the winner with 84 from Christina Daly on 83 and they were followed by Ann Marie Craddock with 81, Regina Malone with 81, Josie Collins with 77, Olivia McFadden with 77, Siobhan Forde with 76, Deirdre Ryan with 76, Bernie Diskin with 76 and Catherine Clancy with 76. The winter league will start at East Clare this weekend and details are on the notice board. The annual general meetings of both the men’s and ladies’ clubs will be held in the coming weeks and members are urged to attend. Mass for deceased members will take place in the clubhouse on Friday, November 27, at 7pm. Members of the Nora Daly Society from Magowna House Hotel recently played the Eleanor Murphy Memorial outing at Ennis. The competition format was a scramble and the winners were Eoin Burke, Owen Lawlor and Luke Murphy from Gerry Daly, Michael Hayes and Kenneth Warren with third spot filled by Michael Hehir, Jimmy Neylon and Kathleen McEnery. The next outing will be the Christmas hampers competition, which will take place on December 5 at Woodstock. The presentation of prizes for this and for the Eleanor Murphy Memorial will take place at Magowna House Hotel on that night at 9.30pm. Tom O’Sullivan was the winner of the singles stableford turkey competition at Dromoland with 42-points from John O’Shaughnessy on 41 and Gay O’Gara on 41. There will be another turkey competition on this Sunday. Leslie O’Meara was the winner of the men’s 14-holes voucher competition at Portumna at the weekend with 34 points. Dean Cox won the category 11 to 14 with 33 points, John Page won the category 15 to 18 with 36 points, Brian Grogan won the category 19 and over with 39 points while Christy O’Rourke won the senior section with 33 points. Matt Donoghue and Mike Keyes won the International Pairs final at Lough Erne Golf resort last week. They now go on to represent ireland in St Andrews next autumn. Mass for deceased members and their families will take place in the clubhouse this Thursday at 8pm.